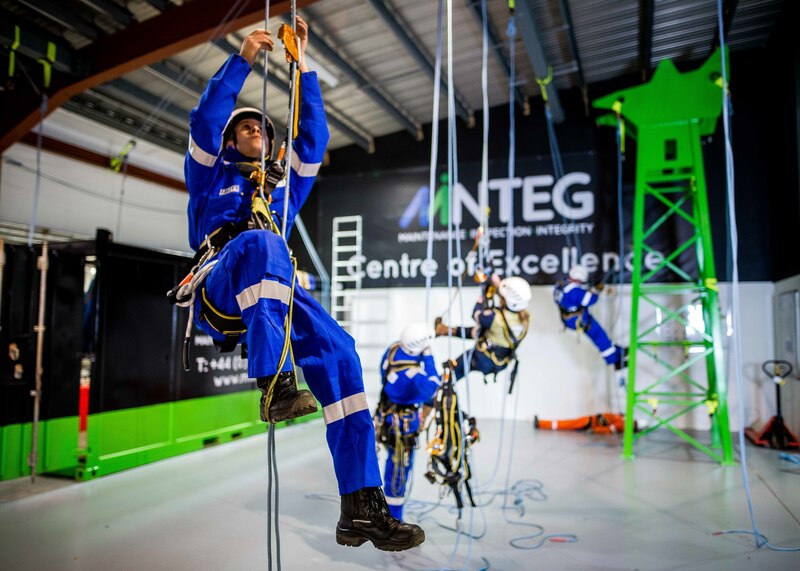 Maintenance, inspection and integrity specialist, MInteg, have opened a purpose-built rope access training centre at parent company EnerMech’s Aberdeen headquarters. The five-figure investment in the Howes Road training centre includes a training tower, a Cat Head crane section and classroom facility, and recently welcomed the first intake of candidates for IRATA training. The expansion follows MInteg being awarded Training status for rope access activities by IRATA International, the industry body which validates the training and certification for personnel who work at height. MInteg already held IRATA accreditation to employ rope access personnel to operate in specialist teams, but the new rating now allows the provision of training courses and certification for EnerMech employees and external clients. The IRATA International Training and Certification Scheme is a globally recognised rope access competence framework and a key qualification for staff working in onshore and offshore industry sectors including oil and gas, renewables, construction, NDT inspection and maintenance. IRATA member companies working to IRATA International standards boast an enviable safety record worldwide. MInteg director Patrick Gallagher said: “The new training facility and our extended IRATA status will be integral to improving the skills of technicians in tackling the difficulties associated with working at height. “At MInteg, our rope access specialists are working in close collaboration with EnerMech’s skilled engineers and technicians and have developed combined training and assessment criteria where the quality of work is assessed hand-in-hand with the rope access safety aspect. Mr Gallagher said the MInteg approach was a game-changer for the working at height sector. MInteg recently opened its first international facility in Perth, Western Australia, as part of an expansion strategy which will tap in to LNG and upstream oil and gas opportunities in Australia.